Today's Where are they now? post is on someone who has already been mentioned a few times on this blog, especially when I talked about her husband, Ken Williams in his very own "Where are they now?" post. Roberta Williams is one of the most well known and respected designers in the PC game industry and her games helped catapult the graphical adventure game genre into the limelight. But how did she start out and what is she up to nowadays? Roberta was born in 1953 (with the maiden name of "Heuer") and at the age of 17 met her future husband Ken Williams at Pomona's campus of California Polytechnic. Roberta married Ken in 1972 at the age of 19 and shortly after gave birth to two sons: D.J in 1973 and Chris in 1979. Ken got into programming to support his family but it's around this time that Roberta, inspired by an interactive fiction game called Colossal Cave Adventure or just Adventure, decided that there was a future in these sort of games if you could add some graphics. Roberta's first game (with help from her husband Ken) would be 1980's Mystery House, one of the first graphical adventure games ever (probably the first). That same year, she and Ken formed the company On-Line Systems which would later be renamed to Sierra On-Line in 1982. Roberta was a writer and designer for several games during the 1980s and 1990s but she is probably most famous for the King's Quest series of adventure games. She was responsible for designing and writing for all games in the series, except for King's Quest VII where Lorelei Shannon was the writer. When Sierra disbanded in 1999 (at least as a developer of adventure games), Roberta spent most of her time travelling the world with her husband Ken on their yacht, the Sans Souci. She rarely did interviews but did resurface in 2011 when it was reported that she was helping out on a Facebook game called Odd Manor. But best of all, I could see that you truly are the ones to take King’s Quest into the 21st century and reintroduce it to a whole new generation. At the end of 2014, Roberta and Ken Williams received an Industry Icon Award at the inaugural "The Game Awards" held in Las Vegas and again Roberta reinforced her confidence in The Odd Gentlemen's reboot of the series. So what is Roberta doing now? 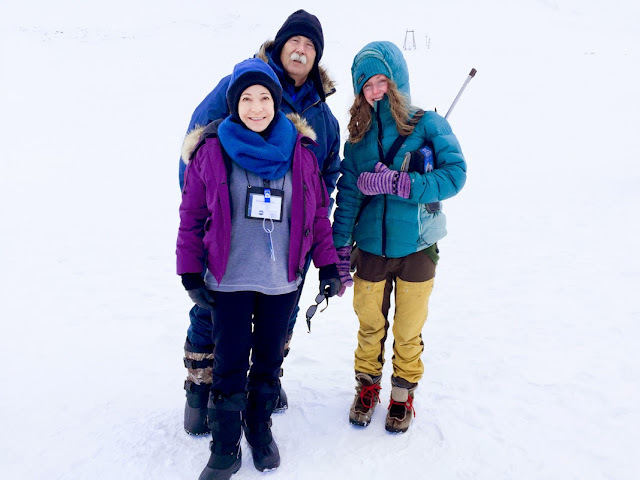 Well it seems like she's back to travelling the world with Ken as she recently observed the total solar eclipse last month in the remote Norwegian archipelago of Svalbard. While it seems unlikely she'll ever get back into the world of game development proper, it's good to see that she and her husband are making the most of their retirement! Thank you for this brief history - and what a history! No worries Bill! As you say, quite brief what I've typed up but she's definitely one of the pioneers of the PC game industry along with her husband Ken :). Seems they have recently sold their boat and are in the process of having a new one built to do more cruising.